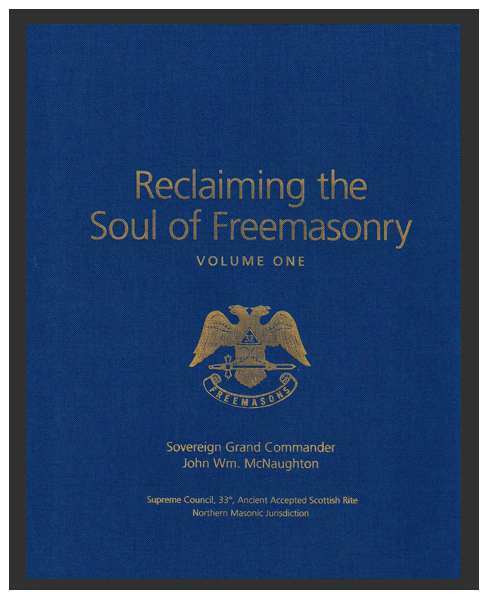 Call me crazy, but it seems like there have been more books published both by and about the Scottish Rite Northern Masonic Jurisdiction in the last six months than in the previous hundred years combined. Okay, perhaps a slight exaggeration, but still. What's the literary version of a 'Come to Jesus' moment? 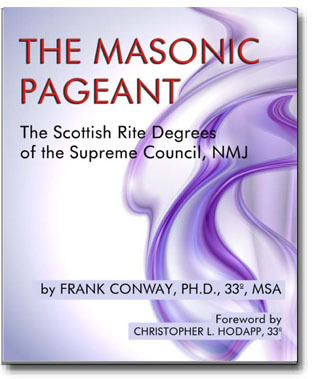 First there was Frank Conway's The Masonic Pageant, the only modern guide available to the 4-32 degrees currently worked by the AASR-NMJ. Then all of a sudden, the Supreme Council seemed to wake up one morning and find a printer somewhere. Take a look at their online shop HERE. 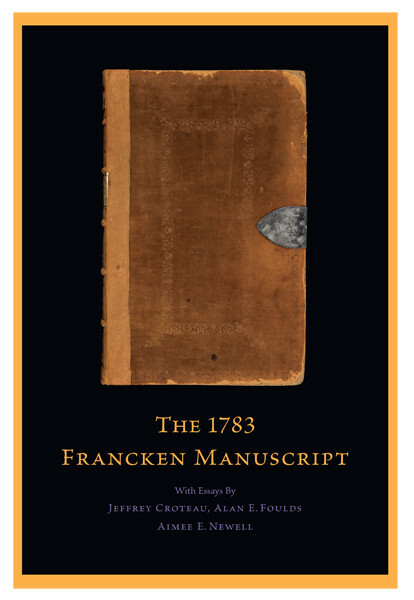 In rapid succession they published the incredible edition of the Francken Manuscript of 1783 in facsimile form. 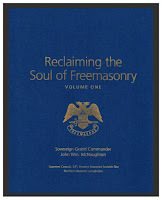 It is the foundational document for what became the Scottish Rite degree system. This beautifully presented 720-page book contains a complete, full-color photo reproduction of the Manuscript, with footnoted transcriptions on facing pages. It also includes introductory essays by the Supreme Council and Museum & Library staff members, Alan E. Foulds, Aimee E. Newell, and Jeffrey Croteau. The Francken Manuscript was compiled in 1783 by Henry Andrew Francken and is the earliest known English translation of the French hauts grades degree rituals of the Rite of Perfection (Order of the Royal Secret), from the 4° to the 25°. The work is thought to be the the earliest surviving and most complete English-language versions of the Scottish Rite degrees that appeared in North America. Francken was a key player in bringing these French degrees out of Jamaica into the northern part of America in the period before and during the Revolution. What makes this so important is they are the precursors to the Scottish Rite in their most original form before Carson, Gourgas, Yates, Pike, and others got their mitts on them and began rewriting. Yes, it's $95. Yes, it's worth it as the ultimate reference version of this work. All other printed versions are incomplete and inferior. 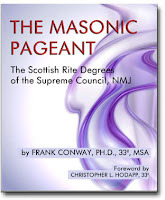 But hiding in plain sight on the their order page now is yet a THIRD work that is just as beautifully done as the Francken book, and this one is especially interesting to all Masons, not just in the Scottish Rite. 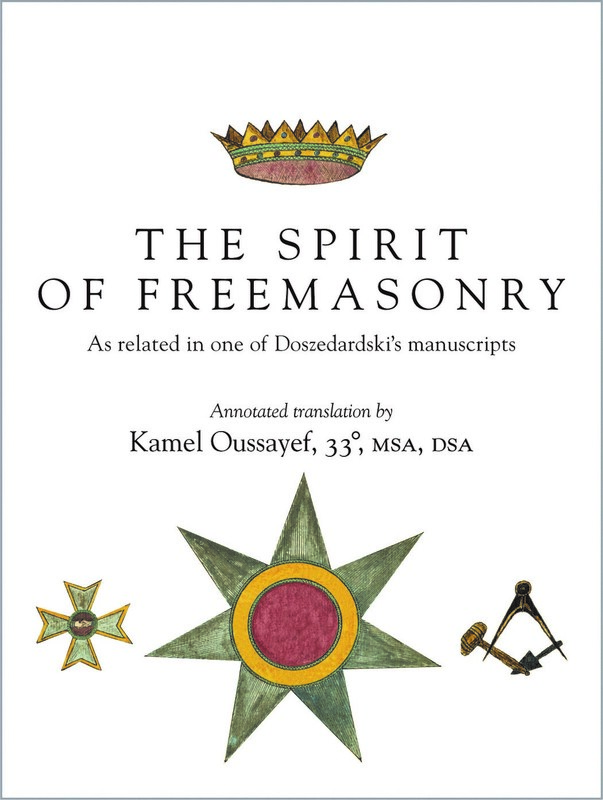 It is The Spirit of Freemasonry a collection of manuscripts written in 1804 by Jean Frédérique Doszedardski. The translation and annotation was accomplished by Illus. Bro. Kamel Oussayef, who has worked for more than a dozen years at the Scottish Rite Masonic Museum and Library in Lexington. This one seems to have appeared with no fanfare whatsoever, which is astonishing given the workmanship put into reproducing its 520 pages. It's $75, but like the Francken book, this level of quality in this size can't be done on the cheap. The work is from the period when Napoleon Bonaparte proclaimed and crowned himself Emperor of the French and also, among his many other self-proclaimed titles, “the protector of Freemasonry." In return, the Masons of France founded Saint Napoleon Masonic Lodge in 1804, which became one the best attended lodges in Paris. This document came from that source. Chapters that can be read in any order. They deal with various Masonic subjects that might seem exotic, strange and even bizarre to us in the 21st century. 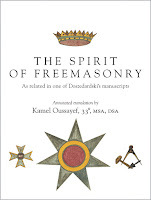 The book, and more particularly its footnotes, will cast a brighter light on Masonic texts, symbols, rituals, definitions, secret alphabets and calendars that up to now were thought to be difficult for the uninitiated to comprehend. Some of these writings are dissertations on the history or philosophy of humankind. Others are fascinating descriptions of old rituals that, by now, have totally been transformed to suit the contemporary mind. To our delight and surprise, more trivial topics were included such as, the protocol of a “Table Lodge”. It is clearly described and its strange origin and vocabulary are explained. To the initiated, “firing a cannon loaded with strong red powder” simply means “to drink a glass of red wine”. Enjoy… the book without moderation! That description on the NMJ site does not properly explain what this book is, or even who wrote it. In reality, it's beautifully reproduced calligraphic pages also include a handwritten account of early French hauts grades up to the 25th degree—then considered the "highest" degrees developed in 1804, and what transformed eventually into the Scottish Rite here. Doszedardski was a prominent Freemason who held the prestigious title of Sovereign Grand Inspector General of the 33rd and last Degree, the highest rank in Freemasonry. He also described himself in one of his manuscripts as Doctor in Medicine, Count, Knight and former Captain. He was born in Warsaw, Poland, in 1770. A polyglot, he travelled extensively in Europe, the Caribbean Sea, more particularly in Cuba and San Domingo and a few areas of the U.S. The later part of his life, the date and place of his death are unknown, however, a diploma issued by the Grand Lodge of Louisiana on June 11, 1814, attests that a was a member of “La Persévérance No. 4” a French Masonic Lodge in New Orleans. All of this is a welcome development out of Lexington. Whether this literary turn was urged by PSGC McNaughten or by the new Sovereign Grand Commander, David Glattly, I don't know and don't care. Either way, it is a good sign and bodes well for students of the Scottish Rite, and most especially the NMJ's members. Thanks Chris. 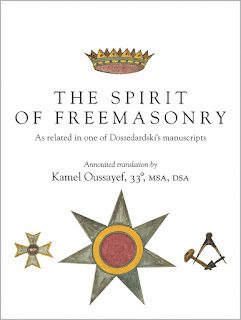 I just finished ordering my copy of "The Spirit of Freemasonry". I am proud of the level of scholarship and Masonic educators we have within regular mainstream Freemasonry. Also, the Masonic educational efforts and level of scholarship within Prince Hall Freemasonry is equally very good and their current issue of "The Phylaxis" magazine is full of Masonic knowledge and well written. That magazine came last week and it's in "the stack of stuff." Alton Roundtree has taken on the task of trying to rehabilitate Grimshaw's fairy tales and it's being done over several issues. Just read Piers Vaughan's great article in the SRRS Plumbline about the famous Baskett Bible etching of Solomon's Temple. There's a rumor of good news wafting around about that publication in the wind that's long overdue, and will be very welcome. There's some truly great scholarship going on in the Masonic world right now. It's hard (and expensive!) to keep up with it all.